Ten years ago having a hd stock image on your website was one of the best things you could do. These days, they reek of 2008. Yes, we know our site is polluted with them, but we are on a campaign to end their tyrannical reign in the marketing world. Anything you can do to avoid these terribly over-used images is in your best interest. 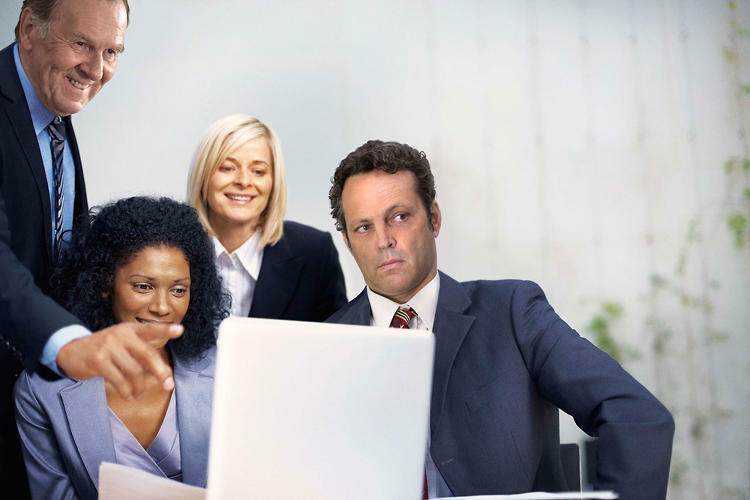 Stock photos are typically pretty bland and boring, but they become instantly awesome with the help of Vince Vaughn! 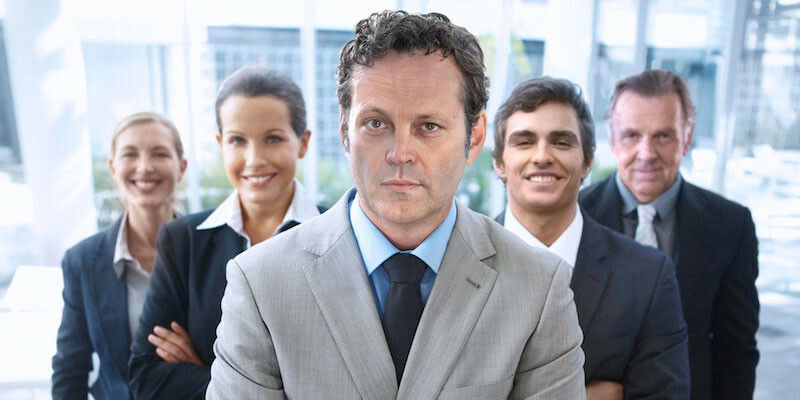 So, if you must…Twentieth Century Fox has partnered with iStock by Getty Images to make a treasure trove of authentic-looking Vince Vaughn stock photos featuring the cast of the film, Unfinished Business. Now, the film’s stars placed themselves in some hilarious stock photo images for your enjoyment. Each image places some permutation of Vince Vaughn, Tom Wilkinson, and Dave Franco within an office setting, doing the kind of nondescript business stuff that classically gets done in such photos. This is some pretty clever movie marketing if we have ever seen any. And here’s the great news – you can use them on your website for free! A total of 12 images will be available for free download for editorial use only over the next three weeks at iStock. Stock photos, usually of beautiful people in bad suits, will probably never go away. Now, for the first time in over ten years, they are actually being used effectively!